Wine Down Wednesday Benefiting Stray Rescue! Join us for Wine Down Wednesday at Oliva on the Hill! There is no cover, just come get a glass of wine (or two) and/or order some delicious food prepared by the wonderful Chef Lisa Slay. 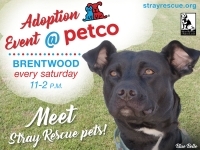 50% of total sales that evening will be donated to Stray Rescue of St. Louis! 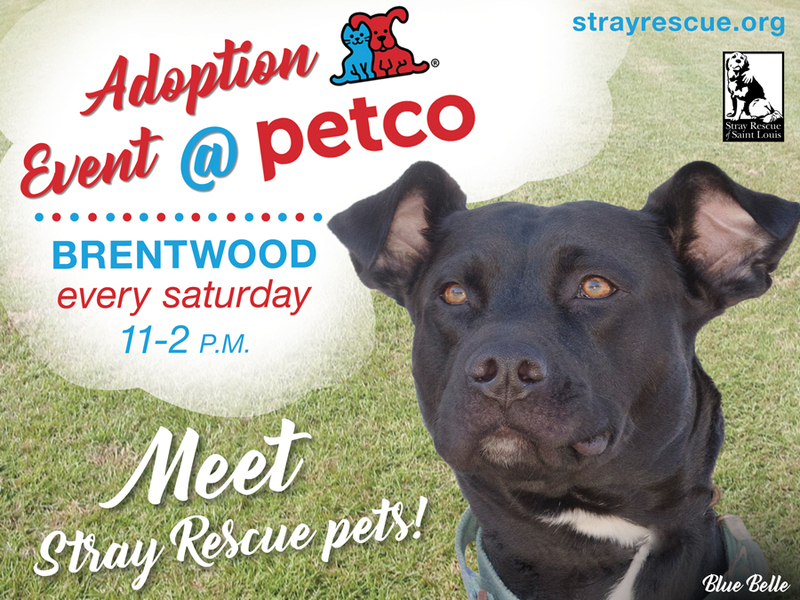 Best of all, it's a dog-friendly establishment so bring your leashed, well-behaved furry friend with you! 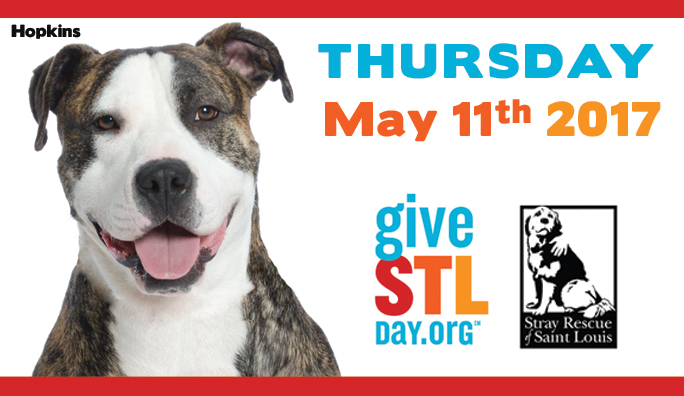 GiveSTL Day is the single largest 24-hour giving event in St. Louis. It is one day with a huge local impact. 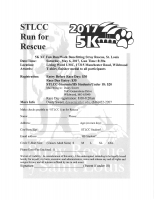 5K XC Fun Run/Walk Benefiting Stray Rescue of St. Louis. T-Shirts & Finisher Medal to all participants! 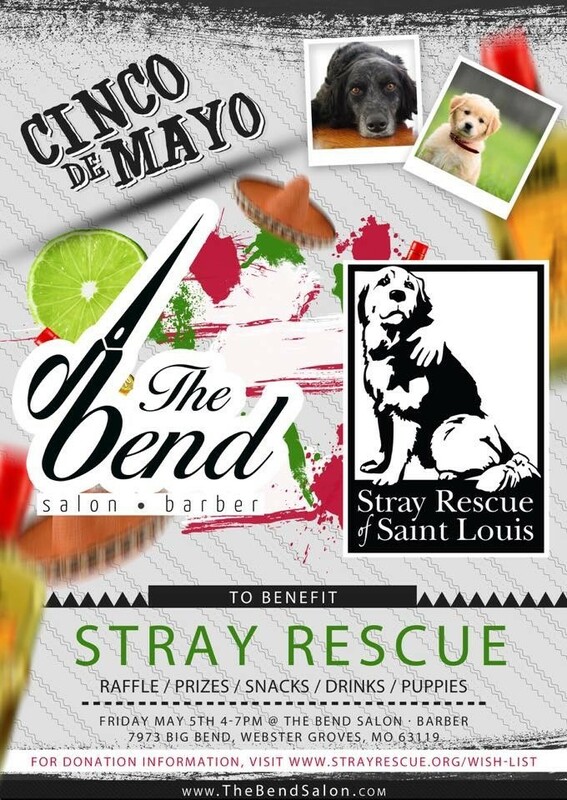 Spend Cinco de Mayo at The Bend Salon! Raffle, prizes, snacks, drinks, & puppies! 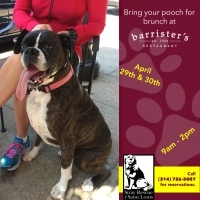 Join us for Barking Brunch the weekend of April 29th & 30th at Barrister's in Clayton! 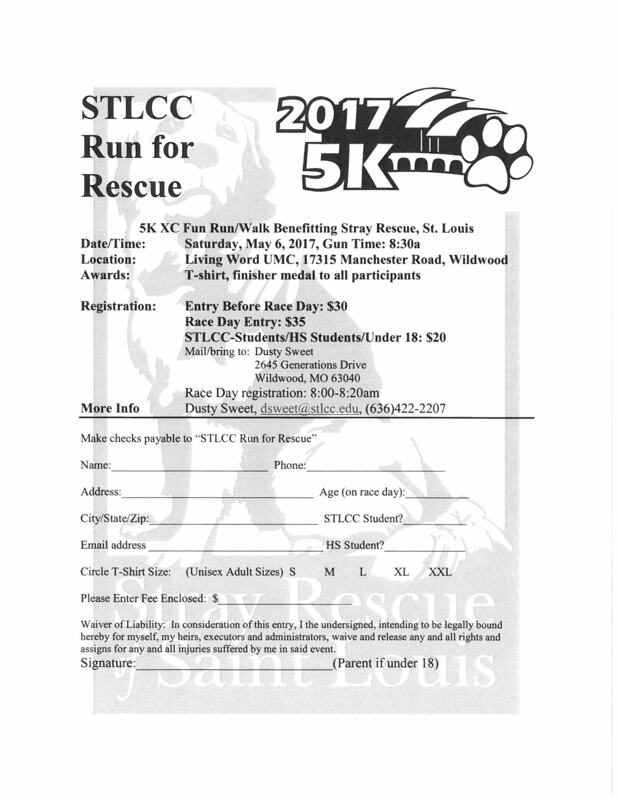 They're donating a portion of our proceeds to the fantastic efforts of Stray Rescue of St. Louis during brunch (9am - 2pm) both Saturday and Sunday. 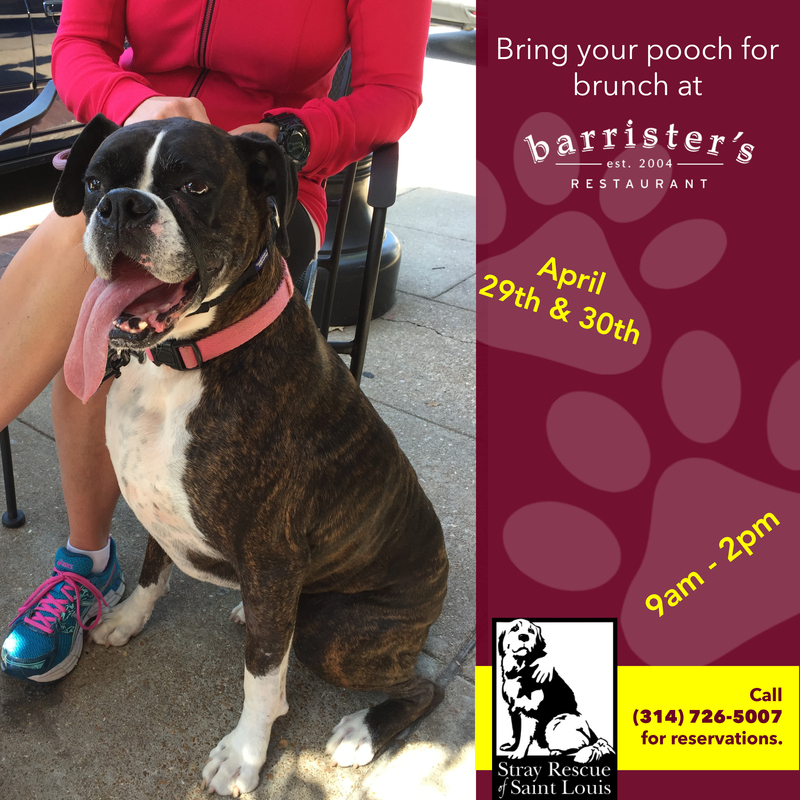 Bring your pup and enjoy some delicious brunch on the patio! 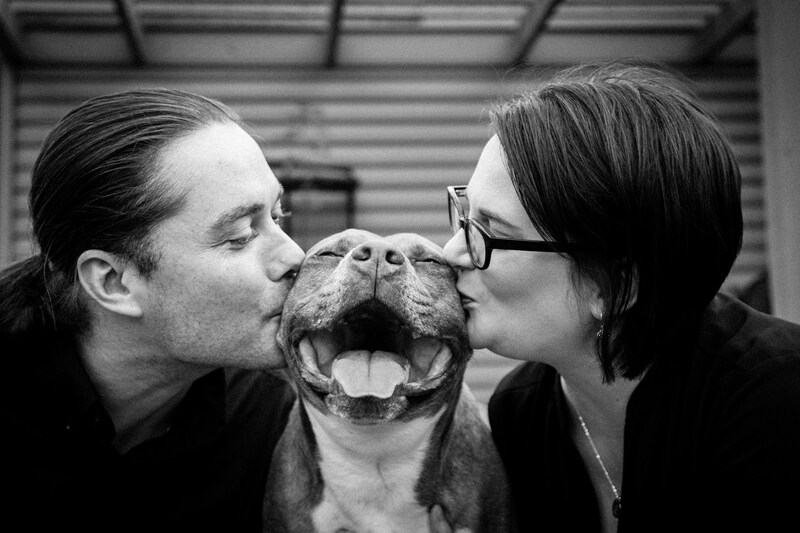 This photo exhibit will feature photographs of adopted rescue and/or shelter pets to showcase what great companions they can be. Proceeds will be distributed among rescue groups selected by the participants. $10 entry fee includes one drink ticket.